Anytime the press covers opioid use disorder and its treatments, I feel hope and dread. I hope the report will be fair and unbiased, and give the public much-needed information. And I dread the more likely stigmatization and perpetuation of tired stereotypes about methadone as a treatment for opioid use disorder. Overall, the four segments of this news report had some good parts, and some biased parts. It was not a particularly well-done series, and could have benefitted from better editing. It was disjointed and contained non-sequiturs, which I suspect confused viewers. In the introduction to the first segment, the report says their investigators have spent months digging into treatment options in the area. Their conclusion: there’s a variety of options and treatment is not one-size-fits-all. The report goes on to give statistics about how bad the opioid use disorder situation has become, and they interviewed a treatment worker who says we’re two years in to this, and the community doesn’t grasp the seriousness of the situation. They also interviewed some harm reduction workers, and discussed naloxone rescue for overdoses and needle exchange. So far, so good, except that of course we are more like two decades into the opioid crisis, not two years. Part two of this series was “Mountain methadone clinics.” As soon as I saw the dreadful alliteration, I cringed, fearing the content of the segment. This report didn’t say good things about methadone. In fact, one physician, supposedly the medical director of a new opioid treatment program in the area, says on camera, “Methadone is very dangerous. It has some effects on the heart. The rhythm of the heart, it has some drug interactions.” He went on to say that at the right dose, people could feel normal, and that it replaced the endorphins that were lacking, but I worry people will remember only that a doctor said methadone was a very dangerous drug. Methadone can be dangerous, if you don’t know how to prescribe it, or if you give a person with opioid use disorder unfettered access to methadone. But in the hands of a skilled and experienced physician, at an opioid treatment program with observed dosing, methadone can be life-saving. The news report outlined the failings of existing methadone programs in the area, saying staff had inadequate training, and failed to provide enough counseling for patients. It said one program made a dosing error and killed a patient, while another program had excessive lab errors. All of that sounds very bad. No positive aspects were presented as a counterpoint to that bleak picture. I felt myself yearning for an interview with a patient on methadone who has gotten his family back, works every day, and is leading a happy and productive life. Of course, those people are hard to find, since they are at work and harder to find by the media, even reporters who have supposedly been “working for months” on this story. There will always be such patients…ready to lie to treatment providers to get more medication than needed, break the law by selling that medication, and then blame it all on the people trying to help them. Unable to see their own errors, they blame it all on someone else, or on the evil drug methadone. Every program has such patients. But these people can also be helped, if they can safely be retained in treatment long enough, and get enough counseling. Even though these patients are few, they get far more media attention compared to the many patients who want help and are willing to abide by the multitude of rules and regulations laid on opioid treatment programs by state and federal authorities. These latter patients are why I love my job. I see them get their lives back while on methadone. They become the moms and dads that they want to be. They go back to school. They get good jobs and they live normal lives. They don’t “sleep all the time,” as the patients on this report said. But not one such patient was interviewed for this report. As I watched this segment, I thought back to an interview the A. T. Forum did with Dr. Vincent Dole, one of the original researchers to study methadone for the treatment of opioid use disorders. This was in 1996, before our present opioid crisis gained momentum. A.T. FORUM: It seems that, over the years, methadone has been more thoroughly researched and written about than almost any other medication; yet, it’s still not completely accepted. How do you feel about that? VINCENT DOLE:It’s an extraordinary phenomenon and it has come to me as a surprise. From the beginning of our research with methadone we were able to rehabilitate otherwise hopeless addicts that had been through all of the other treatments available. 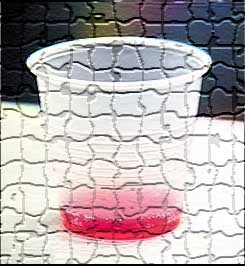 I expected methadone would be taken up very carefully by the addiction treatment community, but with some enthusiasm. Instead of that, we’ve had endless moral and other types of objections which are really irrelevant to the scientific data. I was surprised, because my background in research had led me to expect that the medical community was a very critical but nonetheless objective group that would respond to solid, reproducible data. Instead I find that we still get the anti-methadone argument of substituting one addictive drug for another. This is ignoring the scientific data showing that, as a result of methadone treatment, people who have been hopelessly addicted and anti-social and excluded from any normal life or family, are in a wonderful way becoming responsive to social rehabilitation and today constitute a very large number of people who are living normal lives. The fact that people, especially medical practitioners, would dismiss that as unimportant simply staggers me! What would Dr. Dole think now, twenty more years later, during a terrible wave of death from opioid use disorders, about the continued stigmatization of methadone? Then next segment was about buprenorphine, and how it can be prescribed in a doctor’s office, making it a better choice for patients. It wasn’t a bad segment, and contained some useful information. 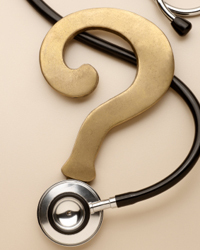 Physicians who were interviewed had nothing but good things to say about buprenorphine. Or rather, they had good things to say about Suboxone. The brand Suboxone was heavily promoted by this piece. Not once did the reporter use the drug’s generic name, buprenorphine. 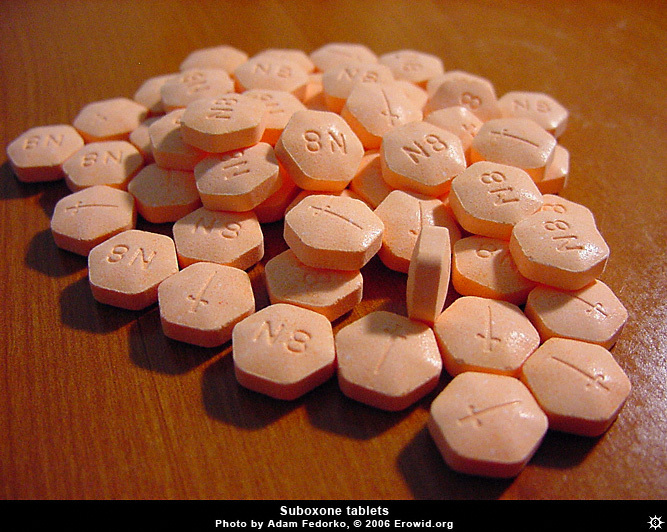 Every time, the medication was called by its brand name, Suboxone, and every picture of the medication was of Suboxone film. No mention was made of the other brands: Zubsolv, Bunavail, Probuphine, or even that there are generic combination buprenorphine/naloxone equivalents for Suboxone film, for less than half the price. I know buprenorphine is kind of a mouthful for non-medical reporters, but still, I thought it was odd to use only the name of one brand: Suboxone. It’s as if this was a commercial for that drug company. Indivior, the manufacturer of Suboxone, must be delighted with this coverage. To me, it felt like an advertisement rather than journalism. Another segment was about sober recovery homes. The investigative reporter talked to owners of sober recovery houses and the tenants at those homes. She said NC has no regulations or standards for recovery homes. She talked on screen to a patient advocate who says patient brokering is going on in Asheville, as well as lab scams at recovery homes where the patients’ best interests aren’t at the heart of the way these homes function. She talked to Josh Stein, NC Attorney General, about passing laws to better regulate these sober homes, and he agreed that if these laws were needed, they should be passed. No controversy with that one. There was a segment about how there’s not enough beds in residential facilities for patients with opioid use disorder who want help. I agree, though I’m not sure this is breaking news for anyone. I don’t think there’s ever been enough beds to meet the treatment need. Overall, I was left with a bitter taste after this reportage. The news program missed an opportunity to educate viewers about all evidence-based treatments for opioid use disorder, but ended up doing an advertisement for Suboxone and denigrating methadone. Buprenorphine and methadone both work under the same principle: they are long-acting opioids which, when dosed properly, prevent withdrawal and craving while also blocking illicit opioids. While buprenorphine is a safer drug with fewer drug interactions, it isn’t strong enough for everyone. Methadone has countless studies to support its use to treat opioid use disorder, showing it reduces death, increases employment, decreases crime… but why go on, since facts don’t seem to matter as much as sound bites. In my opinion, WLOS bungled an opportunity. Reckitt Benckiser says they are basing their action on data from the Poison Control center from September that showed there were around 8 times as many accidental Suboxone exposures in children with tablets versus films. They say they are taking action in the interest of public health. The drug company says that since the films and tablets are clinically interchangeable, patients presently taking tablets won’t be adversely affected. I believe their data. It makes sense that children would have a harder time opening one of those foil packets of Suboxone film than opening a prescription bottle of tablets. Plus, with a bottle there’s more than one dose available for ingestion, while one packet yields only one potential dose. The tablets also have an orange-y smell and taste, and may be more appealing to young children than other types of pills. I also think Reckitt Benckiser’s film is a better product than their tablet. Most of my patients do prefer the film, saying it dissolves faster and tastes better. However…maybe I’m too cynical when it comes to drug companies, but I don’t believe pediatric exposure is the only reason the drug company is ceasing manufacture of the tablets. I think it’s also a financial decision. The film’s patent doesn’t expire for more than ten more years, while the tablet’s patent has already expired. The Reckitt Benckiser rep for my area told me months ago that the company was considering taking the tablets off the market. I think the recent data about pediatric overdose with tablets gave RB a great excuse to pull their tablets off the market, “For the kids…” The drug company would be open to criticism if they pulled the tablets for a purely financial motive, but who could criticize a drug company for trying to prevent the death of children? I do wonder how pediatric overdose rates of Suboxone tablets compares with other prescription opioids, but after scouring the internet can’t find that information. I wondered how RB’s decision will affect my patients. I’m worried about a small number of my patients who, for whatever reason, didn’t like the films. These patients are all doing great in their recovery, and show no sign of medication diversion. They aren’t “bad” patients trying to scheme a way to misuse medications. Many of them have been in stable recovery, assisted by Suboxone tablets, for more than three years. All tried the film when it was released, and found it lacking. 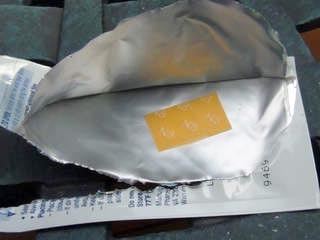 Some patients didn’t like how the films were crumbling, a problem that seems to have resolved over the last six months. I have about twenty-five people in my practice who prefer Suboxone tablets to films. Today in my office practice I saw three patients of these patients. All of them, by the way, keep their medication locked up and safely away from children. I explained the situation to them, and told them I would like to switch them to the film, because the tablets were going to be phased out over the next six months. Two grudgingly said they would switch but wanted to wait until it was absolutely necessary. The third said he’s prefer to switch to the generic buprenorphine tablets, because he hated the film and didn’t feel like it worked nearly as well. Overall I don’t like to prescribe generic buprenorphine in the office, because it has higher street value and is easier to misuse. Since the generic buprenorphine has no naloxone in it, it can be injected. I don’t usually prescribe it unless the patient has no insurance, is stable in their recovery with no recent IV drug use, and can’t afford name brand Suboxone. In my area, the generic buprenorphine tablets are less than half the cost of either Suboxone film or tablet. For some patients, being able to buy the cheaper generic has made it possible for them to afford to remain in treatment. Their other option would be to go to the methadone clinic, and many patients prefer treatment in an office setting, obviously. My patient today has been in recovery for three years. He has a sponsor, goes to 12-step meetings several times per week, has never had a positive drug screen the whole three years, has a stable home, wife, kids, and also finds time to help his aging parents. I’m going to prescribe generic buprenorphine tablets for him. This won’t be the right answer for all my patients. Some will have to try the Suboxone films again, and I hope that will work for them. Because of this pediatric overdose information I’m going to ask every patient – on films or tablets – how they store their medication, to make sure it’s safe. The problem is, of course, these extra services cost more to the treatment program. If you want to offer psychiatric services, a psychiatrist must be hired, usually on a contract basis, to be available during dosing hours. If the program’s medical director is a psychiatrist, that doctor has to be paid for the extra time it takes to provide the extra care. More commonly, patients are referred to other places for low-cost psychiatric help. It’s the same with medical care. In order to offer any level of primary care, you have to hire a doctor, unless patients are asked to pay extra for this. Most patients can barely afford basic treatment, so extra expenses can’t be obtained. At my program I like to try to treat uncomplicated mental illness like depression and anxiety disorders, and non-chronic, low-intensity primary care illnesses. Of course I refer patients who need ongoing medical or psychiatric care, but I can provide interim care until they get an appointment. I think this helps patients because I already know their history of addiction and won’t prescribe anything that will interact with methadone. It doesn’t cost the patient anything to see me for these extra services, so it saves patients money. I can usually see them relatively quickly, without an appointment on the two days a week that I work at the clinic. It seems like a good thing all around. But to do even this low intensity care, accreditation agencies have many guidelines. Treatment centers usually strive to be certified by the Commission of the Accreditation of Rehabilitation Facilities (CARF). CARF personnel are invited to facilities for a voluntary inspection, hopefully to be given a sort of seal of approval by this agency. They inspect mental health, substance abuse treatment, and physical rehabilitation facilities, as well as youth and family service facilities. Accreditation is important because it demonstrates the facility is providing good care. F.2.a. (1) through F.2.b. (16)It is recommended that ongoing documented training and education on medications be provided to the person served, family members, individuals identified by the person served, the team, and service providers. This ongoing training should include how the medication works; risks associated with each medicine; the intended benefits as related to the behavior or symptom targeted by the medication; side effects, contraindications, and potential implications between medications and diet/exercise; risks associated with pregnancy; the importance of taking medications as prescribed, including, when applicable, the identification of potential obstacles to adherence; the need for laboratory monitoring; the rationale for each medication; early signs of relapse related to medication efficacy; signs of nonadherence to medication prescriptions, including alcohol, tobacco, caffeine, illicit drugs, and alternative medications; instructions on self-administration, when applicable; wellness management and recovery planning; and the availability of financial supports and resources to assist the persons served with handling the cost associated with medications. F.a. (1) through F.4.c. (3)It is recommended that, when medications are prescribed for or provided to a person served 9including those self-administered medications), an up-to-date individual record of all medications, including nonprescription and nonpsychoactive medications, include the name of the medication; the dosage; the frequency; instructions for use, including the method/route of administration; and the prescribing professional. The program should provide ready access to the telephone number of a poison control center to the program personnel and the person served. Written procedures that address how the medication will be integrated into the overall plan of the person served should be available. There should be a process for identifying, responding to, documenting, and reporting medication reactions and actions to be followed in case of emergencies related to the use of medication. F.5.a.through F.5.n. It is recommended that, as the organization prescribes medications, it implement written procedures that include compliance with all applicable local, state or provincial and federal laws and regulations pertaining to medications and controlled substances, including on-site pharmacy services and dispensing. Written procedures should include the active involvement of the persons served, when able, or their parents or guardians, when appropriate, in making decisions related to the use of medications; the availability of a physician, pharmacist, or qualified professional licensed to prescribe for consultation 24 hours a day, 7 days a week; documentation and reporting of observed and/or reported medication reactions and medication errors; and a review of past medication use, including effectiveness, side effects, and allergies or adverse reactions. Written procedures should include the identification of alcohol, tobacco, and other drug use; use of over-the-counter medications; use of medications by women of childbearing age; use of medications during pregnancy; special dietary needs and restrictions associated with medication use; necessary laboratory studies, tests, or other procedures, when applicable; documented assessment of abnormal involuntary movements at the initiation of treatment and every six months thereafter for persons served receiving typical antipsychotic medications; when possible, coordination with the physician(s) providing primary care needs; and review of medication use activities, including medication errors and drug reactions, as part of the quality monitoring and improvement system. F.6.a. through F.6.f. If the organization provides prescribing of medications, it is recommended that it implement written procedures that include screening for common medical co-morbidities using evidence- or consensus-based protocols; evaluation of co-existing medical conditions for potential medications impact; identifying potential drug interactions, including the use of over the counter or homeopathic supplements; documentation or confirmation of informed consent for each medication prescribed, when possible; continuing a prescribed medication if a generic medication is not available; and continuity of medication use, when identified as a need in a transition plan for a person served. F.7.a.through F.7.b. (2) It is recommended that, as an organization that provides prescribing of medications, it demonstrate, to the extent possible, the use of treatment guidelines and protocols to promote state-of-the-art prescribing and ensure the safety of the person served. It is also recommended that a program of medication utilization evaluation include measures of effectiveness and satisfaction of the person served. F.8.a. through F.8.e. (2) As an organization that provides prescribing of medications, a documented peer review should be conducted at least annually on a representative sample of records of persons for whom prescriptions were provided in order to assess the appropriateness of each medication as determined by the needs and preferences of each person served and the efficacy of the medication. It should be used to determine if the presence of side effects, unusual effects, and contraindications were identified and addressed and if necessary tests were conducted and used to identify the use of multiple simultaneous medications and medication interactions. F.9.a. through F.9.c. It is recommended that information collected from the peer review process be reported to applicable staff, used to improve the quality of the services provided, and incorporated into the organization’s performance improvement system. I already record a full history and physical on each patient, and have a record of all medications they’re taking. But apparently the way I’m doing this isn’t adequate, and I’m left to wonder what the specifics of their recommendations would look like.. Signed informed consent in order to be written a prescription? This is not generally done in primary care. I’m not sure what the justification for this is in a methadone clinic population. Apparently I need to give each patient a written summary of all side effects of a prescribed medication. I don’t do this in primary care, because the pharmacy does all of that. Each time a prescription is filled, they give a long sheet of possible side effects. What’s the rationale for redundance? These are only a few of my concerns. When faced with the task of complying with all of these recommendations, many clinics understandably decide it’s just easier to tell patients to see their own doctor for anything they need besides the methadone. CARF does a needed service, but in many matters I think it’s important to pull back to see the whole picture. It’s similar to the paperwork requirements for Medicaid – most of this paperwork is probably needed in some form or fashion, but surely there’s a better way to do this than to ask counselors to do a mountain of paperwork when they’d rather be doing counseling. Regulations are important. But don’t make the regulations so obscure and onerous that most clinics stop providing any extra care.